1)It features a spring loaded gate which allows them to be quickly and securely attached to a wide range of fixing points. It can open and close smoothly as the spring-loaded gate makes it easy to attach important items to a pack or belt, ideal for hanging cords, ropes, hoses, keys and other items. 1.It features a spring loaded gate which allows them to be quickly and securely attached to a wide range of fixing points. 2.It can open and close smoothly. 3.The spring-loaded gate makes it easy to attach important items to a pack or belt, ideal for hanging cords, ropes, hoses, keys and other items. 4.Small size, lightweight aluminum alloy, easy to use. 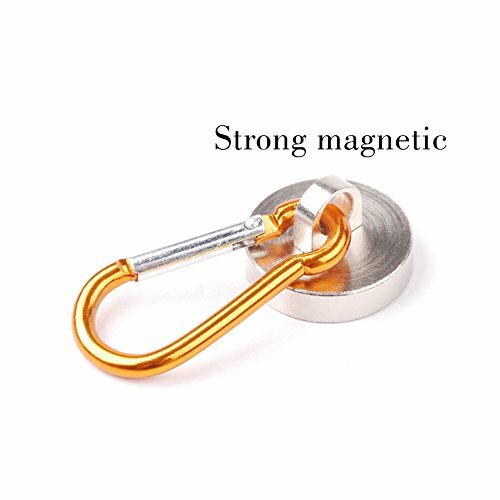 5.The goods are a magnetic hook, and the other items shown on the picture are not included. If you have any questions about this product by HAIHANG, contact us by completing and submitting the form below. If you are looking for a specif part number, please include it with your message.